A wide range of facilities and activities are on offer, allowing everyone to explore, have fun and eat in an exceptional and beautifully designed setting. Like an isolated polar expedition base, the building of the Espace des Mondes Polaires aims to be energy self-sufficient and have a limited impact on the environment. Jura architects Gilles Reichardt and Gilles Ferreux designed the building. 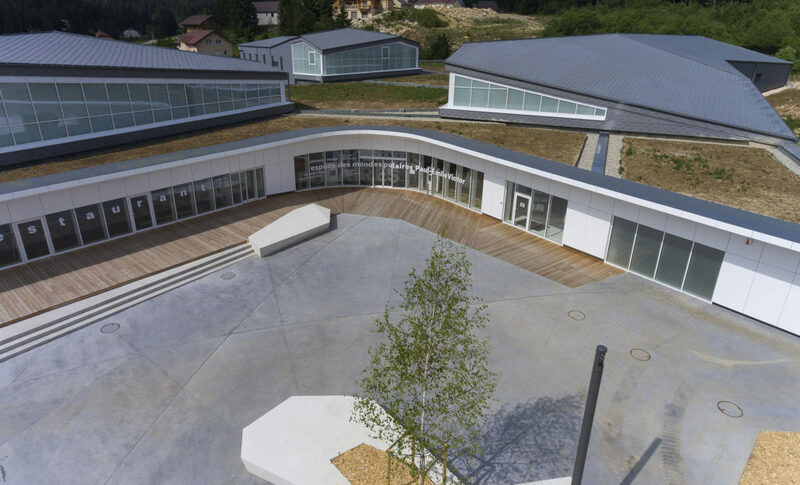 They adopted an environmentally responsible and bioclimatic construction approach, ensuring that the project would fit perfectly into the centre of the typical Jura village of Prémanon. Snowy wastes, polar bears, penguins, scientific expeditions… So near and yet so far, the Arctic and Antarctic evoke particular images, legends and thoughts in each of us. 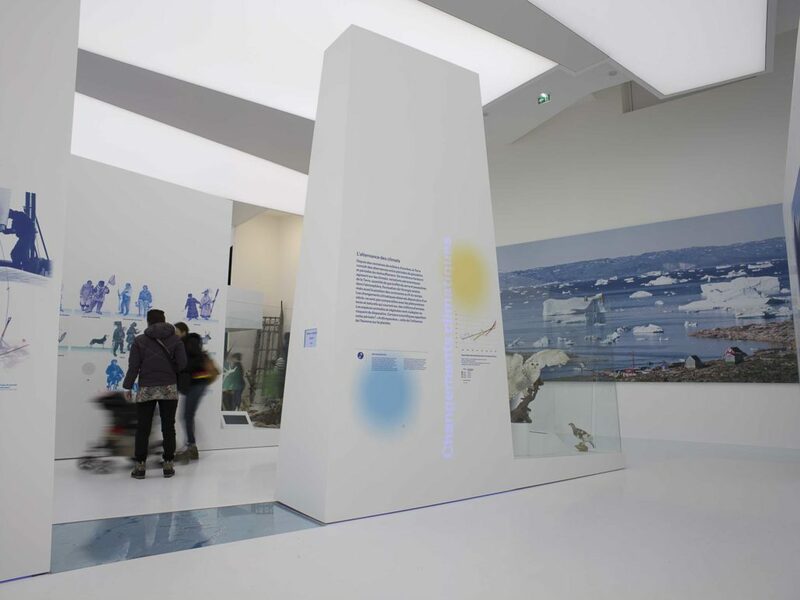 Immersed in the ice floes and surrounded by stunning landscapes, visitors to the Espace des Mondes Polaires museum are invited on a unique journey that will call on all their senses. The curation of the exhibits and a large collection of ethnographic objects brought back by Paul-Émile Victor allow visitors to follow in the footsteps of the famous explorer: kayaks, clothing, harpoons, toys and recorded songs are displayed throughout the exhibition. 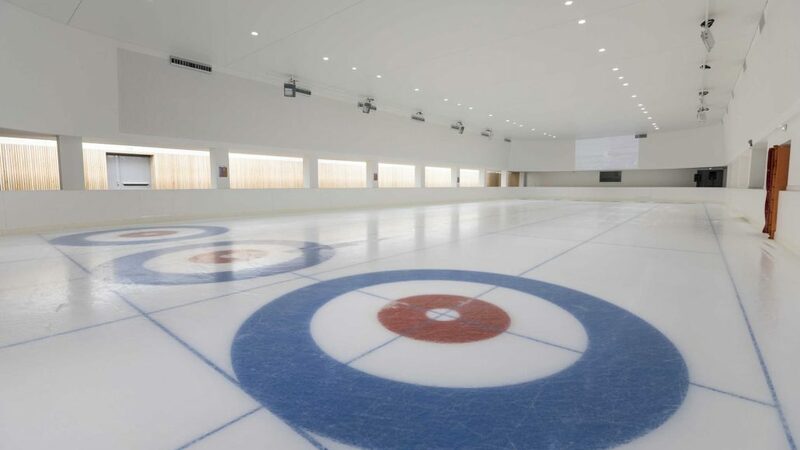 The museum also offers an ice rink, auditorium, bookshop and gift shop to extend your tour to the heart of the poles. Visit the museum what’s on page to see the events programme (shows, workshops, galas, talks, etc.) and also learn about the different facilities at the Espace des Mondes Polaires.